The next show at Chestnut House Concerts features Damn Tall Buildings from NYC on September 8, 2018 at 7:00 PM. Arrive anytime after 6 pm to join a potluck prior to the music. To RSVP, contact Tim at tlehman9@gmail.com. Suggested donation amount is 15-20, and all donations go to the band. The 4 piece bluegrass band Wood & Wire’s mandolinist is Billy Bright, a veteran player who has worked with legendary artists Peter Rowan, Tony Rice, and Vassar Clements. Bright attended Berklee College of Music and considers his unique style to be influenced by musicians such as Matt Mundy, David Grisman, and Mike Compton. Friday, June 17, Billy will be on stage with the rest of Wood & Wire. There’s a potluck at 6 pm and music starts at 7. You can RSVP by emailing Tim at tlehman9@gmail.com. Suggested donation of 15/20 at the door – all money goes to the musicians. Below is a video of Wood & Wire playing The Sea Wall from their album “The Coast”. Billy’s breaks are at 1:15 and again at 4:25. Chestnut House Concerts welcomes Laney Jones and the Lively Spirits on Friday, February 21st. Laney and two of the Lively Spirits are students at Berklee College of Music in Boston. 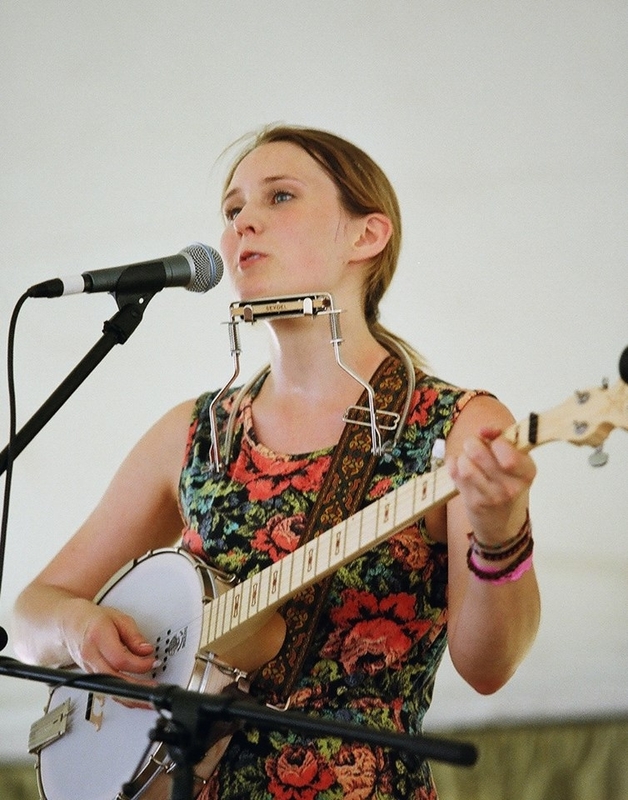 Laney is studying voice, songwriting and American Roots Music. 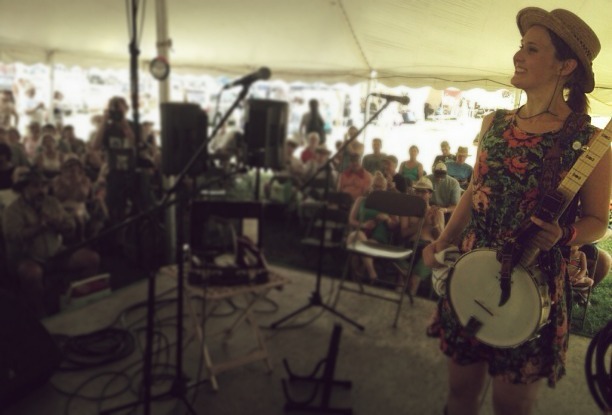 Most of the music she performs are original tunes and she accompanies herself on banjo or ukulele. Joining her on stage will be Lars Thorson on fiddle, Jacy Anderson on guitar (also students at Berklee) along with bass player Matthew Tonner. Founded in 1945, the mission of Berklee College of Music is to educate, train, and develop students to excel in music as a career. Student population is just over 4,400 and about 30% if these students are female. 28% of the student population is international, representing 98 countries. Some names of Berklee alumni that may be familiar to you? Levon Helm, John Mayer, Branford Marsalis, Bruce Hornsby, Paula Cole, Melissa Etheridge, Roy Hargrove, Gillian Welch, Esperanza Spalding, and Diana Krall. Laney’s video “Black Coffee” seems appropriate in a post about college life. We have a few seats available for Friday night’s performance. Text or call 717-940-9311 to rsvp. Potluck at 6 pm, Show at 7 pm. Donations at the door of $15/20. I’ve never been good with trivia questions. I can remember my birthday, the first boy I kissed, how many quarts are in a gallon and that the notes on the bass clef between the lines from low to high are a|c|e|g because, indeed, all cows eat grass. I have friends though, with an amazing propensity for recalling details, and on the occasion that I’ve accompanied them to trivia competitions, I’ve been duly impressed. Even though I’m not a trivia junkie I’d have been living under a rock during the 90s in Lancaster to not know of the king of trivia, Curtis Earth. I was surprised to see a post on Facebook by our next house concert guest, Laney Jones regarding a radio spot she did with Curtis Earth in January while home in Orlando from her studies at Berklee College of Music in Boston. 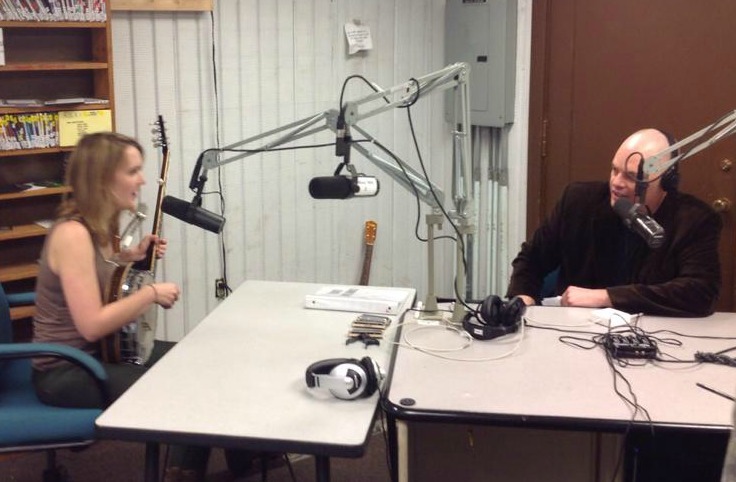 Below is a video clip of Laney singing “Devil Down” on the Curtis Earth Show, 91.5 FM. Curtis moved to Orlando, Florida in 2002 to host trivia shows for WTKS 104.1 FM and for Disney cruise lines. In addition to Florida and the Atlantic Ocean, Earth Trivia continues today in Lancaster as well as the DC area via associates in these regions. Curtis also hosts the Curtis Earth Show on WPRK, 91.5 FM, Rollins College in Winter Park, Florida. I do know now that if asked this trivia question: “Who’s one of the top emerging artists in folk/Americana music?” – you’d want me on your team. To hear Laney Jones, Matthew Tonner (bass), Jacy Anderson (guitar) and Lars Thorson (fiddle) in Lancaster, plan to attend Chestnut House Concerts on Friday, February 21, 2014.Potluck at 6 pm, show at 7:00 pm. See the ‘about’ page for information to RSVP.